Why Dogs Shouldn't Eat Chocolate? 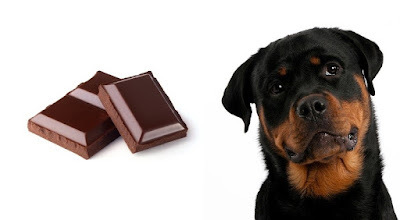 Chocolate is one of the most common foods that is bad for dogs. Chocolate contains caffeine and theobromine which fall under the methylxanthines category. Theobromine is in the same family as caffeine and is a type of stimulant, theobromine stimulates the central nervous system, heart muscle and causes a slightly increases blood pressure. Signs of chocolate toxicity include diarrhea, vomiting, excitability, seizures, and death. The amount of theobromine in chocolate it varies, because of so many different types of chocolates out there. Darker chocolate is more pure and dangerous for a dog to consume than a milk chocolate can be. A single piece doesn't contain a large enough theobromine dosage to harm your dog, but if you have a small dog that has eaten a box of chocolates, call immediately the clinic for professional assistance. However, chocolate isn't the only food your dog should avoid. Read 'Peoples food that are dangerous for dogs' and be sure that your dog will never get access to these foods.